There’s a meme going around the blogosphere at the moment, where you’re given a letter and challenged to come up with 10 things you love, beginning with that letter. I thought, why not? This will be easy. So I commented on Tami Clayton’s post on the letter A; and she subsequently challenged me with the letter L.
To be honest, I found this much more difficult than I anticipated. I kept thinking of things I love, and they’d start with some other letter. As a result, it’s taken me two weeks to come up with a list I’m happy with. I’m a firm believer that laughter can cure a great many ills. It’s certainly far better than panicking, and there’s nothing like a spot of silliness to dispel tension. To have a sense of the ridiculous is an essential trait, I think. And it helps to be able to laugh at yourself as well. Since I’m not innately funny, I tend to surround myself with amusing people instead. 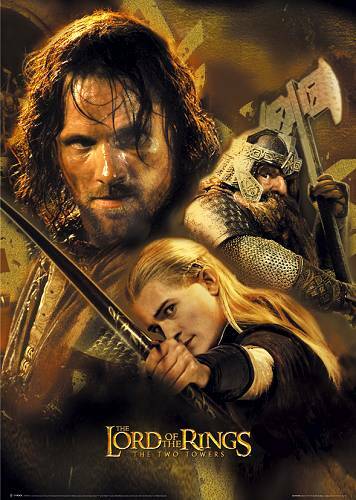 While I agree the books are landmark, it’s actually the Peter Jackson movies that captured my attention more. I first saw Fellowship expecting little and was absolutely blown away by the sheer majesty of the film. I’ve watched the entire trilogy, including the extended DVD versions, more times than I can count. The dedication to that production, the amazing attention to detail when it came to armour, costumes, sets and more, were simply superb. Definitely looking forward to the Hobbit! I’m a big pasta fan. I also love spaghetti bolognaise, gnocchi, ravioli … in fact, all pasta. But only lasagna starts with ‘L’. Lasagna is one of those things I don’t make for myself, though. Too many steps. But I love it when someone else makes it for me! Another of my vices is Lindt chocolate. It doesn’t have to be Lindt, but it most often is. I’m sure if I lived in Europe I’d branch out more. 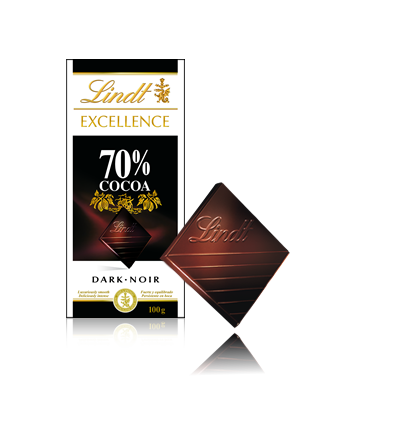 I most often buy Lindt Excellence 70%, which is a dark chocolate. I try to fool myself into having only two squares (20g), but it’s hard to stop! I guess this isn’t too animal friendly, but I do like garments made of leather — especially my long black leather jacket and my new boots of Spanish leather! The latter (Wonders) are a very recent purchase and the first long black boots I’ve had since I was about 10 when I used to pretend I was Wonderwoman. I’m getting such a kick out of wearing them (hehe). At heart, I’m a bit of a nerd. I really like learning new things — whether it’s a short course in tapestry weaving, yoga or something theoretical. I was at university for eleven years, gained three degrees, and although I’ve vowed I’m never going back don’t be surprised if I renege on that deal. Just saying. At the moment I’ve got my eye on several training courses through work, including Adobe Photoshop. 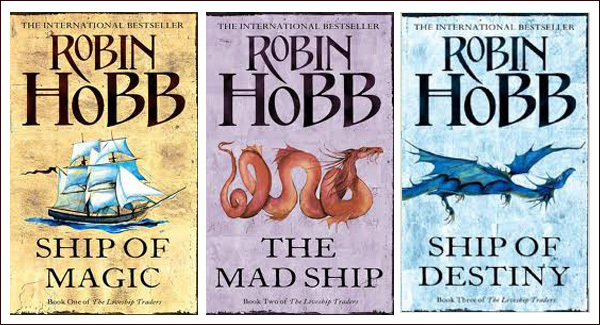 I’ve been banging on about this fantasy series by Robin Hobb quite a bit recently, but that’s because I’ve just relived them via audio. Nevertheless, the trilogy remains one of my all time favourites and I’d recommend it to anyone. I just wish I could remember who I lent my paperbacks to! Thank heavens at least one of my favourite books/series begins with L… I honestly can’t think of any others, nor favourite authors, that do! Oh yes, I can — the Lions of Al-Rassan, by Guy Gavriel Kay. That qualifies, right? There has to be at least one travel destination on here, and London is the grandmother of them all. This magnificent city presents a different face every time I visit. Most recently, about 18 months ago, I visited during the snow-infested winter, and spent time in the Cabinet War Rooms, Victoria and Albert Museum, and the Museum of London. This might seem a bit strange, but it’s fitting really. I live by ‘to-do’ lists, both at work and at home. They keep me on track. They keep me sane. (They also sometimes can be depressing when they keep getting longer…) There’s something highly satisfying about crossing completed items off a list! Of course, top-10 lists like this one are fun too! That completes my list of 10 L words, and I did find it very difficult. I suspect that as soon as I hit publish, about three more L words will push their way forward and I’ll regret not including them. Oh well. Listening is definitely a good one! Definitely all three at once! Throw in some red wine and you have a wonderful evening! 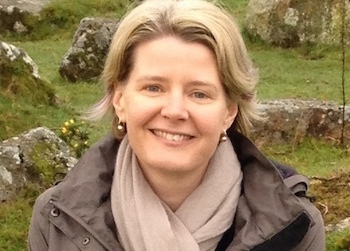 Stron work, Ellen! I’m also a creature of lists…all over my desk you can find post-its with ToDoToDay scrawled across the top. Lemons. I never understood the expression, “when life gives you lemons, make lemonade,” since I love lemons (in everything I eat) and am not a big fan of lemonade. I officially change the saying to “when life gives you lemonade, make lemons.” So there. No need for a letter. I’ve already done this one. Lemons is a great one. Such a versatile fruit! A nice list there. I’d love a letter too. That might get me writing more posts. Other than that, I’ll really like to have a letter too. Lasagna, Latte, and Lindt … on my!